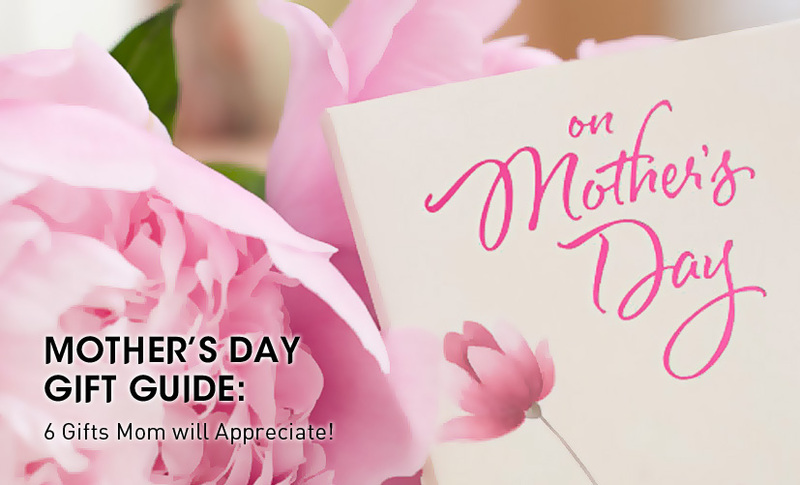 Celebrate the amazing women in your life with one of these thoughtful gifts that will last! 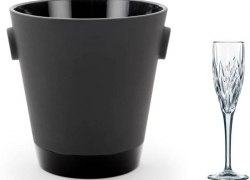 From stylish champagne coolers to cool kitchen gadgets, we have something to suit everyone. Shop our Mother’s Day Sale from 28 April – 14 May! Make Mother’s Day an extra special celebration and present a toast to Mom or the leading lady in your life with the Magisso Champagne Cooler and fine Nachtmann Bavarian Lead Crystal Champagne Glasses (Set of 6) (Now $78.30, U.P $111.90)! Celebrate in style as you won’t need a freezer or a fridge to keep your drinks cool with the awarded Naturally Cooling Ceramic barware. Just soak the Naturally Cooling Ceramics in water for a minute or two before use. It will keep content cool for two to four hours. You can also create your very own design or write a personal message for Mom on the side of the Ceramics with a chalk! 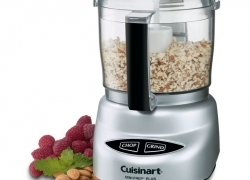 A staple for many Mother’s Day gift-giving seasons, the food processor is essential for any household gourmet looking to create succulent and nutritious meals. The Cuisinart Mini-Prep® Plus Processor is the perfect little helper for small food preparation, from chopping herbs or bread crumbs, to finely grinding hard cheese. Its versatility lies in the special Auto Reversing Smart Blade™, which makes it easier to process both soft and hard foods. Designed in Italy, the Mini-Prep Plus’ sleek touch pad controls afford easy cleaning and an elegant look. If Mom is an early riser, why not surprise her with a delicious quiche for breakfast in bed? 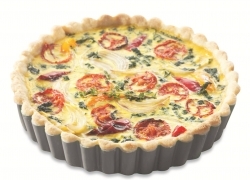 Roll up your sleeves and start making a delicious homemade quiche with the Nordic Ware Pro Form Quiche/Tart Pan. With a self-crimpled edge, this 10 inch quiche/tart pan has a removable bottom, which makes for easy release and serving. Pair your quiche with a simple salad and a refreshing drink and you’ve got yourself the perfect Mother’s Day lunch or brunch! 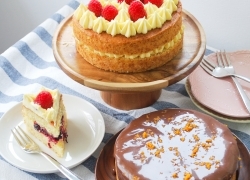 Is that special lady in your life an avid baker? The mYe FUSION 3-Tier Cake Stand makes for the perfect setting for her edible works of art to be displayed on. Tie a ribbon to the stand and gift it with some delicious goodies for Mother’s Day! 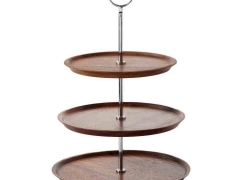 Whether you are presenting a show-stopping celebration cake or passing around a batch of brownies, this 3-Tier Cake Stand will do the job perfectly. If you need some décor inspiration for your dining table this Mother’s Day, try the luxurious Garnier Thiebaut 100% Cotton Table Runner with Green Sweet Coating. Established in 1870, Garnier-Thiebaut creates beautiful, quality French table linens. Their linens have been used by the Mandarin Oriental Hotel in Geneva, The Ritz Carlton and many other renowned establishments. Garnier-Thiebaut’s damask cotton tablecloths are made using 100% two-ply twisted cotton, mercerized for long life and durability of the product. The designs are created by our team of designers to follow the home fashion trends. Garnier Thiebaut 100% Cotton Table Runner with Green Sweet Coating (Now $118.30, U.P $147.90). Treat your Mom to a different kind of celebration this Mother’s Day and enjoy a precious bonding activity together! Spend some quality time in the kitchen making delicacies from scratch under the guidance of ToTT Chef Instructors. ToTT Members enjoy one for one off these special classes. 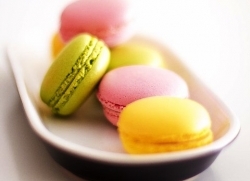 Bake delicate macarons with fragrant rose and red velvet buttercream with Chef Michele Ow in the comfort of a state-of-the-art hands-on studio! The class also includes a discussion with Chef Michele that covers tips, techniques and troubleshooting through-out the class. Learn to bake a refreshing Orange Yogurt Cake with Cream Cheese Frosting and Sour Cherry & Berry Compote, and a decadent Chocolate Glazed Orange Cake with Chef Claire Marie Change! The class also includes a discussion with Chef Michele that covers tips, techniques and troubleshooting through-out the class.